I am so excited today! My favourite part of researching my family is when I meet a new family member. 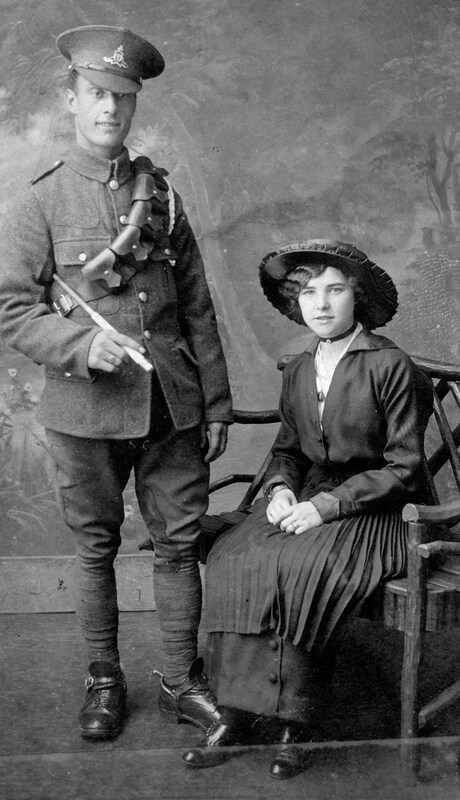 Yesterday Julie Heard got in touch to tell me she found my blog, and she kindly sent me lots of photos including one of her great grand-aunt and uncle. Here they are in 1965! 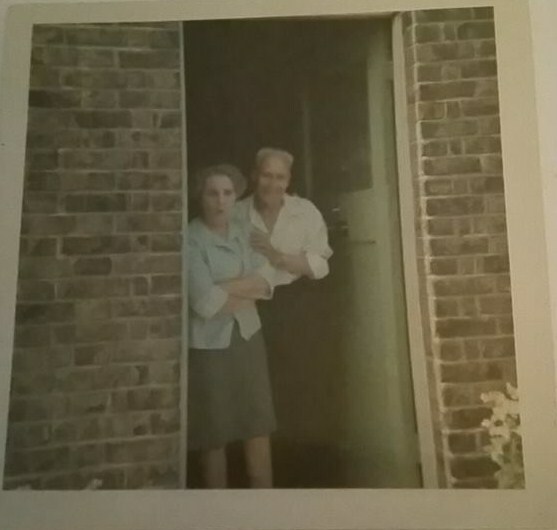 Florence and Jack Dinnis in 1965 on the doorstep of 208 Acre Lane, Brixton. The only other photographs I have seen of them are from many years previously. I can’t tell you how excited I am to have the opportunity to get to know Julie and her Dad. And to get to know more about Jack (my grandfather’s brother) and his wife Florence. There is so much to learn, it’s going to take some time, but I’ll be back here sometime to write all about it. 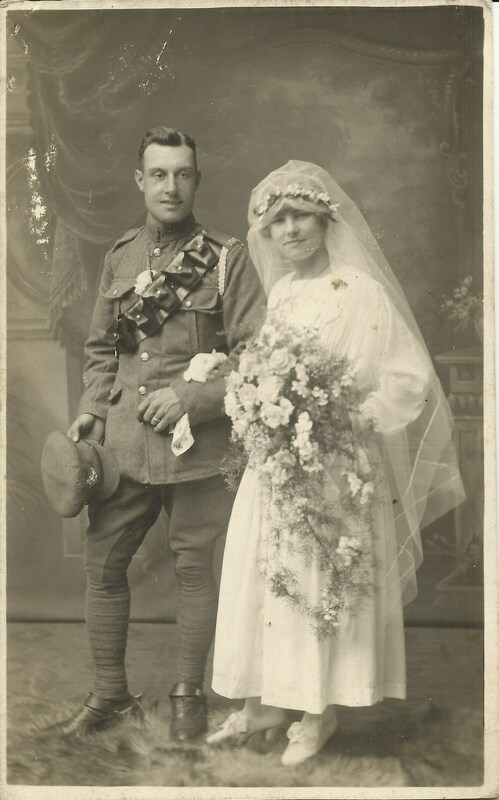 This entry was posted in Florence Violet Heard, John Albert H. Walter Dinnis and tagged Florence Heard, John AHW Dinnis, NaBloPoMo, new relatives. Bookmark the permalink. Wonderful contact. Eager to hear more. Thanks Janet, so busy enjoying myself putting the new photographs in order and trying to make sense of who is who! It takes me ages to sort these things out, but when I do, I will post about it! Isn’t it such joy to find living relatives. Good luck with your new research avenues. It really is a joy. Something like the birth of a new baby, the arrival of a new person into the family! Fabulous news, Jackie! I too have had some “meetings” like this, but I am so behind in blogging about them sigh. Enjoy the new pix and the new relative! Yes, that’s so true. I am going to try to break genealogy projects into smaller chunks to make it easier for me and for the “new” cousins. How fantastic 🙂 I can’t wait to hear more.